When the Santa Cruz & Felton Railroad arrived in Felton in 1875, it was situated on the west bank of the San Lorenzo River. On the east bank, the area was mostly just pasture land—former forest harvested decades earlier by Isaac Graham's logging crews during the days of Mexican California. By 1873, the plot of land beside the river ford was owned by John S. Hager, who decided to build a picnic ground in the low flat created at the confluence of Zayante Creek and the river. In 1881, the location was named Camp Felton, just in time for the arrival of the Felton & Pescadero Railroad, the right-of-way for which passed directly beside the picnic area. Within a few hundred yards of Felton, just across the San Lorenzo and between it and the Zayante, lies the prettiest spot for picnics and camping parties on the whole San Lorenzo. It has been used by the people of Felton to picnic at for many years, and the grove has been partially cleared of underbrush, avenues and winding walks have been cut, rustic seats put in many places, tables and benches to accommodate a great many put up, a large dancing floor laid, and many other things done to make it pleasant and comfortable, but the place has been known to few besides the Feltonites. Now that the S. P. C. R. R. is in running order, picnic parties have discovered this lovely retreat, and it is occupied from a party from San Francisco numbering some two hundred, who propose to stay some time. They are very comfortably settled, having sent down in advance three car-loads of freight, with men to put up tents and arrange things for housekeeping. They have thirty four white tents among the green trees, and the camp has a very cheerful, animated look. There is a large majority of women and children during the week, but on Saturdays the husbands and fathers come down to spend Monday with their families in the quiet shades of this most beautiful grove. They spend their time hunting, fishing, bathing, gathering ferns, flowers, etc., and in visiting the different lime kilns, mills, big trees — which are only a short mile from camp — go to Santa Cruz and take a plunge in the ocean and come back on the next train. George Treat, a prominent Felton entrepreneur and lumberman, took over Camp Felton in 1885 and helped develop it into a seasonal retreat. He advertised widely to attract seasonal campers, and the nearby Felton Station was certainly a draw. But other more appealing camping and picnic areas throughout the Santa Cruz Mountains increasingly offered more attractions. Treat leased the property to Joseph Ball in 1891, who renamed the place Maple Grove even though there were no maple trees there. It was under Ball's proprietorship that the Felton Covered Bridge was completed in 1893, allowing the residents of Felton to directly access the picnic area without needing to ford or wade through the river. 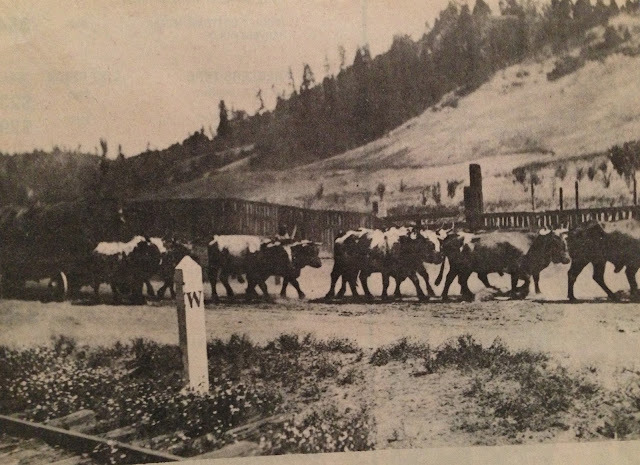 The direct railroad history of the location begins in 1903, when the Southern Pacific Railroad added a flag-stop for the picnic area under the uninspired name River Station. This stop was intended exclusively for passengers visiting Maple Grove and it appears that no formal structures were ever installed there by the railroad. Just before the 1906 San Francisco Earthquake, the stop was renamed Riverside and placed on the formal timetable, albeit without scheduled stops. Curiously, at the same time, the picnic grounds were officially renamed Felton Grove and Felton Baseball Ground, under the management of Glass and Draper. 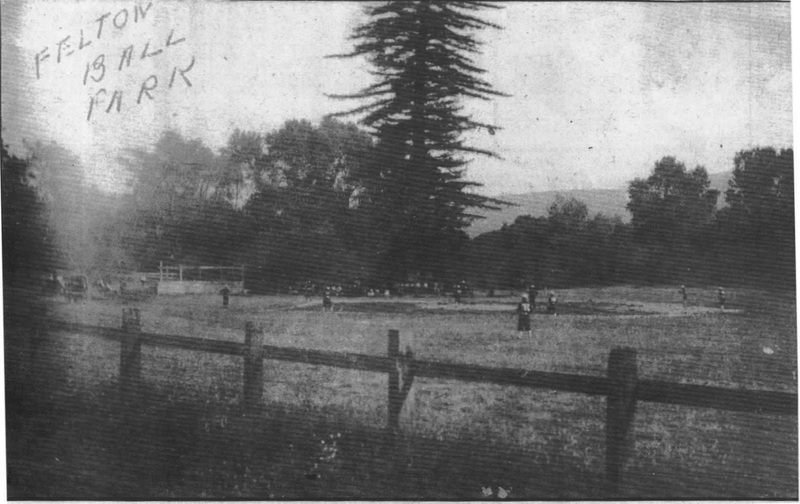 It can be assumed that the baseball diamond was installed at around this time. The station remained unchanged until the line was standard-gauged in 1908. The removal of the Felton Branch and its replacement with a spur across the San Lorenzo River beside the covered bridge seems to have marked the end of Riverside. 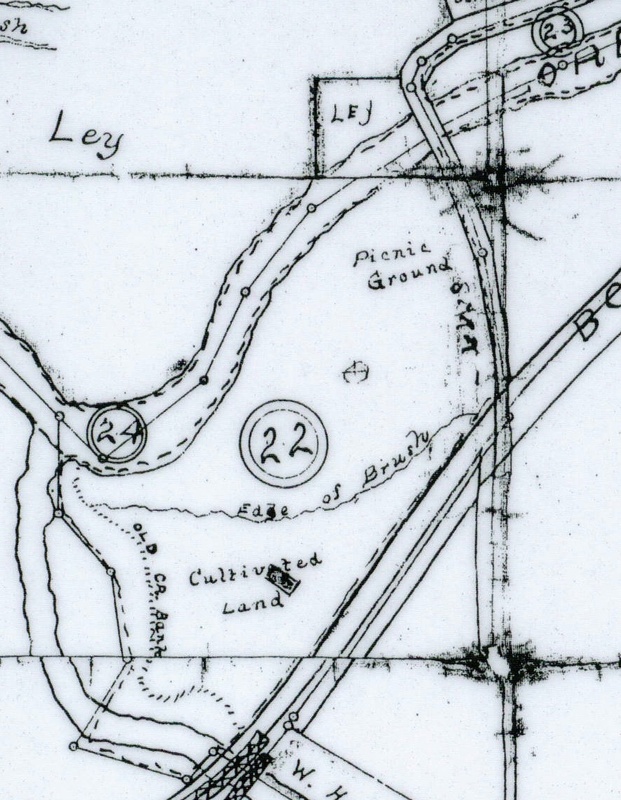 In 1909, it was seemingly renamed Pettis, but the next year, that location appeared at the site of Brackney further down the Boulder Creek Branch suggesting the renaming was simply an editorial mistake. River Station and Riverside arose during a time that saw a massive expansion of excursion services and summer picnic trains throughout the Santa Cruz Mountains, so it is perhaps not surprising that it appeared when it did. However, its rapid disappearance is odd but may be tied to subsequent developments at the site. In 1910, David and Alice Goulding were running the Felton Grove Planing Mill & Lumber Yard at or near the site, suggesting the picnic area had disappeared by this year. Little else is known about the site throughout the 1910s including whether or not the mill and yard utilized any railroad spur. Ownership may have changed hands several times, and the property itself may have been subdivided. Things changed dramatically on May 30, 1922, when the Felton Grove Auto Camp opened its doors on the property. No longer dependent on the railroad, the campground now catered exclusively to auto campers who came with camper trailers and tents. The resort included tennis and basketball courts, a playground for children, tent cabins for families, and scenic paths alongside the river and Zayante Creek. The San Lorenzo River was also seasonally dammed to create an impressive swimming hole just downstream from the covered bridge. In 1937, a new central building that doubled as a dance hall was erected near Felton Grove's entrance on Park Avenue. 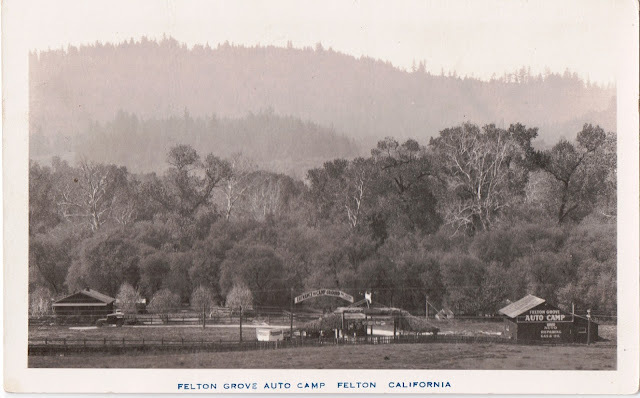 Despite some minor improvements throughout the 1930s, Felton Grove Auto Camp was hit hard by the Great Depression. All formal newspaper advertising for the park appears to have ended in 1932. In 1934, the resort became a summer camp for St. Joseph's Military Academy of Belmont, who continued to use the location until at earliest 1938. A bad winter storm in 1938 severely damaged parts of the resort, but the resort reopened in May of that year with a large season-opening dance. 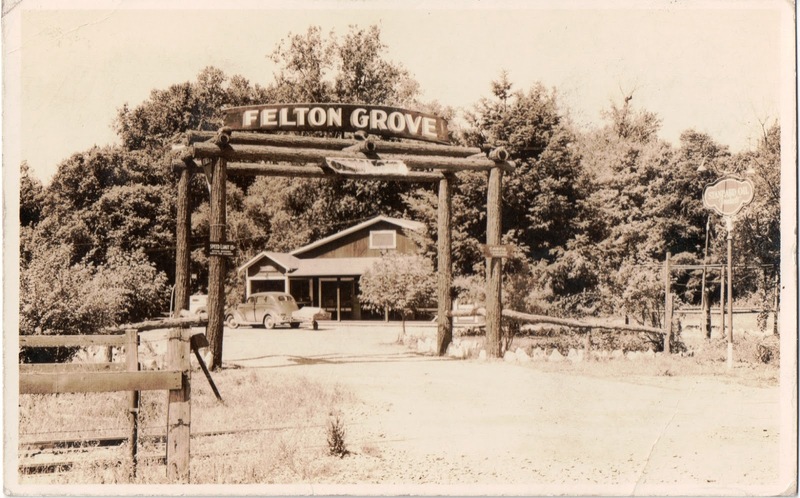 For the remainder of the 1930s until the start of World War II, Felton Grove Resort served as a popular evening retreat for locals and visitors alike, even while the military academy students continued to camp outside each summer. Floods could not permanently sway the resolve of the resort owners and visitors. The late 1930s was the heyday of Felton Grove Resort, but then the war came and nobody had time to vacation anymore. World War II changed the demographics of the San Lorenzo Valley dramatically and also altered the vacation patterns of Americans. 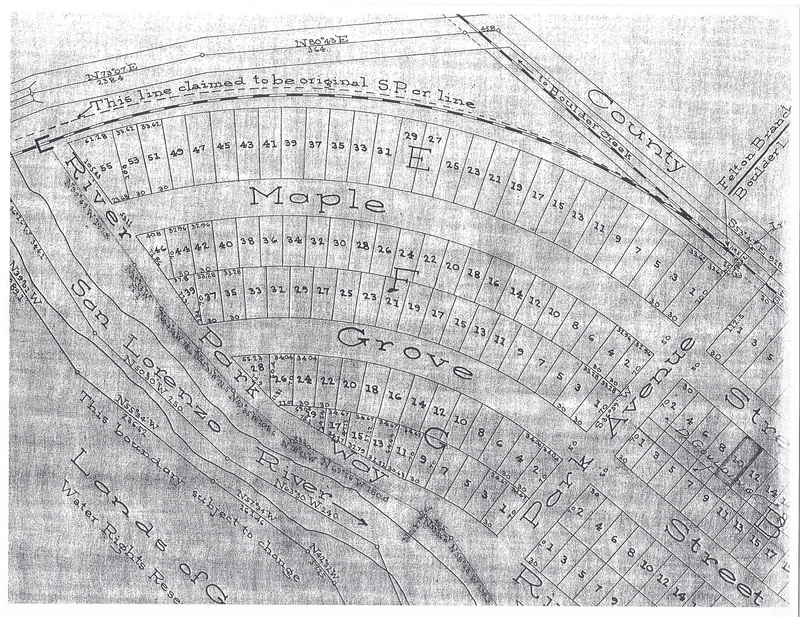 As such, small resorts such as Felton Grove could not compete with larger or more rugged campsites. 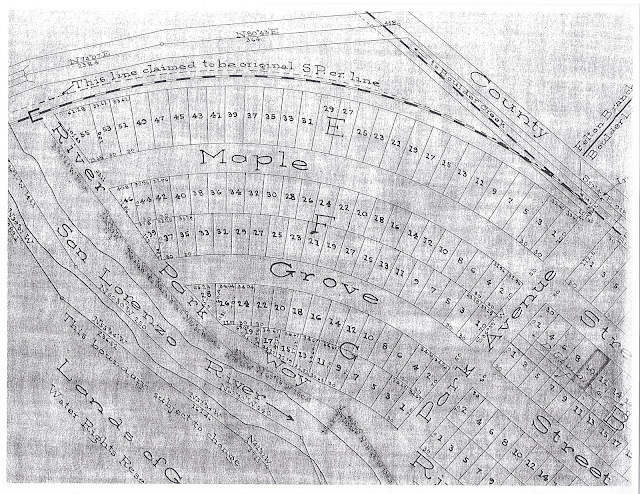 By the mid-1940s, Felton Grove began evolving into a year-round residential subdivision. Amenities originally offered by the auto camp such as dancing and sporting activities continued through the 1950s, but then faded away as Felton itself evolved into the semi-rural commuter suburb that it is today. It is not entirely clear where the location of Riverside was, but it was probably near today's Felton Covered Bridge County Park or the adjacent Valero gas station, which is approximately the point where the Boulder Creek Branch crossed Graham Hill Road. In any case, there were never any structures associated with this stop and, as such, nothing of it survives to the present. Felton Grove still does survive, although not precisely in the manner it had originally been conceived. The dance hall still sits behind the laundromat on Park Avenue. All of the original camper spots have been converted into residential properties, but terrible winter storms remind residents that the area was only ever intended for seasonal enjoyment, not year-round habitation. The former railroad right-of-way to Old Felton has since been converted into another stretch of squarish properties, but these are not formally a part of the Felton Grove subdivision and were probably parcelled off in the late 1940s. Wees, Vicki. Felton Grove, 2013. I love what you're doing Derek. FYI 2 of the Felton Grove Auto Camp photos came from the Ronnie Trubek Collection. Keep up the good work! The fern collecting mania started in England around 1840, it seems to have made it around the world by 1880. I can remember older houses in Brookdale using ferns as landscaping exclusive of everything else.